I'm probably not the best person to ask this question. Until I started book blogging, I had no idea what was popular and what wasn't, I just read what I wanted to read, old or new, popular or not. I would pick books that I'd never heard anyone talk about and love them and think 'I have to tell everyone about this book!' only to find out that everyone already knew about it. I'm very slowly joining the 21st century of books and trying my best to keep up, but I'm sure most of you will agree there are so many books and so little time! I started out my list with specific books; ones that I love that I've never heard anyone else talk about, or blog about, then I got stumped so I ended up going the more general route with authors I can't believe aren't more popular. 1. 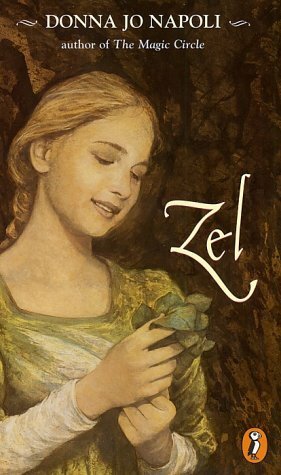 Zel by Donna Jo Napoli - This re-telling of Rapunzel has been a favorite of mine for many years. I can't remember when I originally read it or where I got it, but I loved it and have read it a few times over the years. It's dark and kind of depressing and disturbing - not my usual choice - but it's also beautiful and sweet, and I love the writing style. 2. The Year of Living Famously by Laura Caldwell - cute, strong, funny main character - check. Hot Irishman - check. A visit to Dublin and a few mentions of U2 - check. It doesn't take much to make me happy. I read this book in 2009 and loved it. It's actually on my re-read list (which I never seem to get around to because there are so many other books I want to read!). 3. Someone Like You by Sarah Dessen - I know that Sarah Dessen is popular, but I don't think I've ever heard anyone talk about Someone Like You. It could be because it was released in 1998 and a ton of book bloggers are teens, so were too young when it came out, I have no idea. 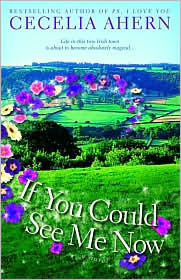 This book was my story - I thought Sarah had written it just for me and my best friend. It's still a favorite of mine all these years later. 4. Cecelia Ahern - PS I Love You is fairly popular, but I only know one other person who's read her other books. I've read all of her books and think she's an incredibly talented writer and I can't believe that she's not a household name. All of her books are incredible, but my personal favorites, besides PS I Love You, are If You Could See Me Now (the US title is A Silver Lining), A Place Called Here (US title is There's No Place Like Here), and The Gift. 5. Maddy Hunter's Passport to Peril series - I absolutely loved this series and hated to see it end. These books are hilarious, cleverly written, and the elements of mystery and romance were always intriguing. If you're a fan of Janet Evanovich's Stephanie Plum books - or more specifically, Grandma Mazur - you'll love these books. Emily has a crazy granny of her own, along with a whole group of seniors whose antics had me laughing out loud over and over. Plus, I have to say, if you're familiar with my odd style of picking books (walk into the library and pick books at random based on title and cover), it was the clever titles of these books that originally caught my eye. In order: Alpine for You, Top O' the Mournin', Pasta Imperfect, Hula Done It?, G'day to Die, Norway to Hide. **Edit: As I looked up the order because I couldn't remember them, I noticed another addition to the series, Dutch Me Deadly is expected out next year - woohoo! I was so sure the series was done because she was releasing them every year and there hasn't been a new one since 2007. 6. Victoria Laurie's Psychic Eye and Ghost Hunter series - As a psychic medium, Victoria draws on her own experiences for these books and creates novels and characters that are funny, myterious, intriguing and interesting. It's been awhile since I've read anything of hers, but I always thoroughly enjoyed her books and need to catch up. 7. Karen Chance's Cassie Palmer series - These books are perfect for lovers of all things supernatural, because you name it, these books have it - vampires, witches, ghosts, incubi, faeries, gods - just about anything you can think of. They're jam-packed with action and you never know what mess Cassie's going to get into next. 8. 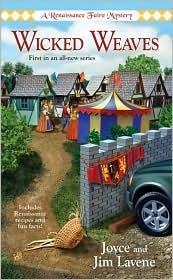 Joyce and Jim Lavene's Renaissance Faire series - I've always had a thing about renessaince faires, but have never been lucky enough to attend one, so I love living vicariously though Jessie, who gets to live and work in one for part of the year. With a cast of quirky characters, most of whom take their jobs very seriously, these books are really funny, and they're interesting too because in each one, Jessie's doing a different internship, so the reader gets to learn about the trade as she's learning it. What are some of your favorite underrated or obscure books (or authors)? What do you think of my list? I've visited a few blog already and there are entire lists where I haven't heard of a single book! I think it's great that we get the opportunity to bring attention to books that might otherwise remain obscure! Happy Tuesday and happy reading! I just finished reading Someone Like You. I've read most of her other novels but since this one was a little older I didn't get around to reading it until later. I like your list, lots on there I haven't heard of that sound interesting. Loved Year of Living Famously and I raved about it for ages after I finished it. I've never read anything by Sarah Dessen but she has been mentioned a lot in the blogosphere lately so will have to give her a try. I think I'm putting the Maddy Hunter books on my TBR pile.. they sound like a blast! Great list!! I agree with Someone Like You! It's like it got forgotten about, but I think it ranks way up there with her best YA novels. Like your list!